To say I'm a foundation junkie (or foundation whore if we want to be frank) is an understatement. I love a good foundation and even the ones I'm not that keen on can still be found in my stash for "just in case". 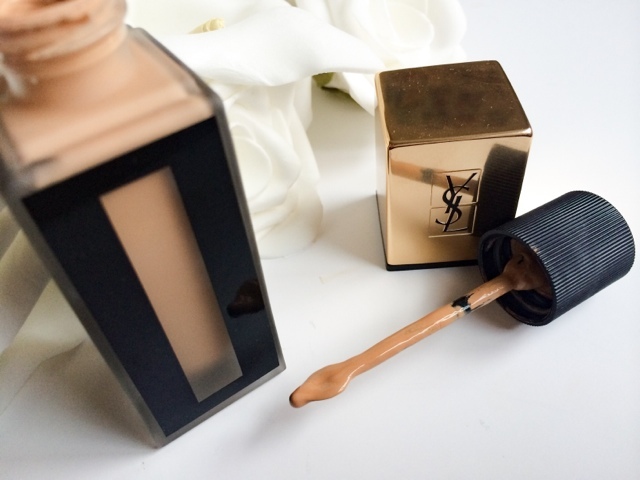 My latest foundation purchase ( because you know I needed it as the other 432 weren't good enough) was the YSL Fusion Ink Foundation. A foundation with NASA inspired technology - yes its compounds and formula come from America's leading space scientists, crazy I know! But don't worry I'm not going go into too much detail or bore you with all the technical talk but it's something to do with the Lipophilic actives (I have no idea what they are :/). Which are found in stellar dust particles in outer space, these allow it to absorb 4 times as much sebum (oil) than other foundations, resulting in a matte finish for longer. Quite frankly I don't understand it and the only thing I'm interested in is if it's any good or not! Firstly, the Packaging = gorgeous and made of glass, so not the most travel friendly. 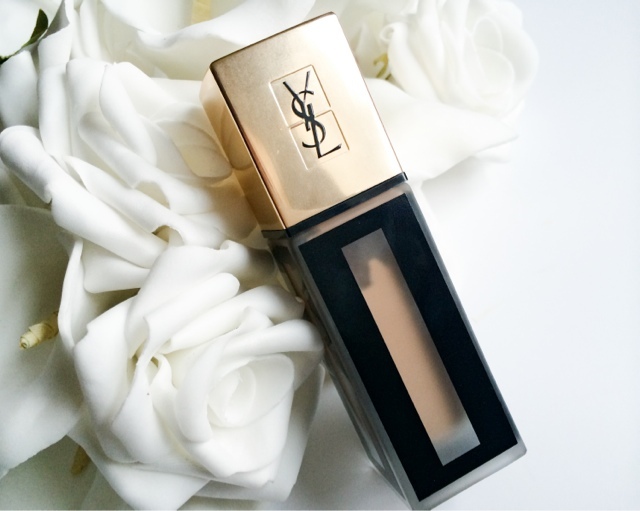 This has a super light weight formula that mirrors water in its consistency as oppose to regular cream foundations. It blends seamlessly into skin with hardly any effort at all and leaves the most beautiful finish. A velvety powdery finish that looks natural and feels smooth to the touch, covering imperfections without caking and just leaving the skin looking 100 times better than what it was. As I'm oily this foundation is a dream come true. The finish allows me to use this without the need for powdering and the long wearing formula means it lasts at least 8 hours before its starts to show signs of wear - and even then it still look great! Dryer skin types I feel won't benefit as much and may find the foundation enhances dry patches. But if you're on the oily/combination spectrum, you'll love it! Well I do anyway. If it's not obvious so far I absolutely love this stuff and it has quickly become one of my all time favourite foundations. On price it's not the cheapest (£30.50) but I think it's worth every penny and I predict it's going to be a long time before a foundation floats my boat like this one has! Bold statement I know, but I'm sticking to it. Have you tried the Fusion Ink Foundation? What are your thoughts on it? I love the sound of this foundation, must get my hands on it! Love the bottle! Glad you like this babe as much as I do!